It’s official, Pinterest is now a bonafide social media star. Boasting some 150 million users, the once cutesy platform has morphed into a social media powerhouse, popular amongst individuals and businesses alike. And considering it only debuted in 2010, it’s done so with astonishing speed. Long adored by brides-to-be and foodies, Pinterest is now much more than a storage space for wedding plans and recipes. Today, the virtual pinboard houses over 75 billion ideas representing all types of users and content—from millennials pinning gift guides to music aficionados sharing their favorite YouTube playlists. Ideas are the primary reason people go to Pinterest. Increasingly though, folks are also turning up to shop. And oh how they shop. According to a Millward Brown Study, 87 percent of Pinners have purchased something they’ve seen on Pinterest, while 93 percent plan to do so. Also take stock of the fact that two-thirds of Pins now showcase a brand or product. Yep, Pinterest means big business for brands. And chances are we’ll see more of this trend as Pinterest makes it easier and easier to shop from virtually anywhere. But just who are these millions of Pinners making Pinterest a success? For any social media maven, gaining smart insights into Pinterest demographics is critical. 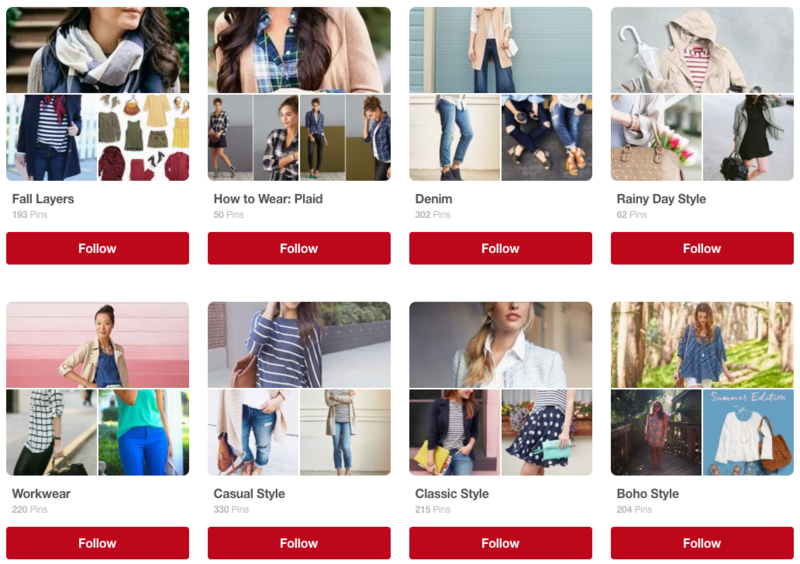 So sit back, here’s all you need to know about who’s buying on Pinterest now. While increasingly popular amongst the fellas, Pinterest is still very much a lady’s game. In fact, according to a 2016 Pew Research study, of all adults online in the U.S., 45 percent of women use Pinterest compared to only 17 percent of men. As for the top goods catching the eye of female Pinners? Food, home decor, and clothing rank as the most popular. Interestingly, women are also heavily using Pinterest to help plan out their futures. Millward Brown’s 2016 study found that Pinners were 47 percent more likely to be planning for a life event (think weddings or trips) within the next six months. What’s more, a remarkable 96 percent of active Pinners use Pinterest for their planning research. For businesses trying to reach women on Pinterest, look at ways to use your brand to help facilitate the Pinner’s planning. 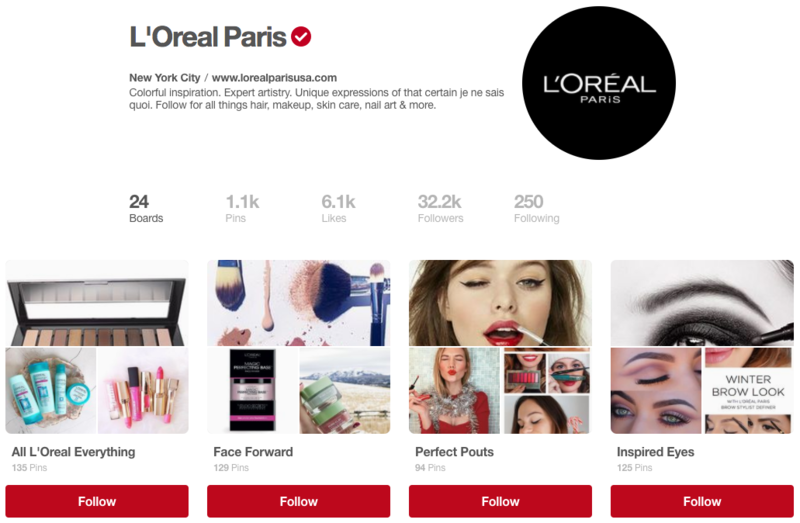 Beauty powerhouse L’Oreal is a great example of a brand using Pinterest to do just that with its life-event boards. From weddings to trip planning, these curated boards subtly position L’Oreal’s products as event must-haves. Image via L’Oreal on Pinterest. L’Oreal also frequently partners with beauty influencers and other lifestyle brands on various life-event boards to broaden their reach. In their summer collaboration with popular stylist Katherine Accettura, L’Oreal cleverly positioned their products as the ‘look of summer’ through a series of 97 playful Pins. At the time of writing the board has earned an astonishing 930,000 followers. So, what age group is most active on Pinterest? Interestingly, the platform is popular across multiple generational brackets—with millennial, Gen Xers, and Boomers all regularly pinning. But it’s the millennials that favor Pinterest the most with 36 percent of Pinterest users falling between the ages of 18 and 29. In a close second, Gen Xers make-up 34 percent of Pinterest’s audience. Boomers round out the group, accounting for some 18 percent of users. Given its popularity with millennials, Pinterest is an especially great tool for reaching this demographic. According to a study by the University of Massachusetts Dartmouth (University of MA), millennials prefer Pinterest over any other social platform for shopping. And by quite the long shot: 47 percent of millennials on Pinterest have purchased something they’ve pinned—a solid nine and 14 percent greater than Facebook and Twitter respectively. For brands, educational content—like how-to Pins or step-by-step Pins—is a great way to engage millennials looking to try something new. Stitch Fix, a San Francisco based styling service, is a fabulous example of a brand using education to drive sales on Pinterest. The brand frequently shares how-to boards to give its followers styling tips. By doing so, Stitch Fix positions itself as a trusted advisor while also subtly promoting its services. Image via Stitch Fix on Pinterest. Of note to luxury brand marketers, a big chunk of millennials plan to be rolling in the dough one day. According to the Schullman Research Center’s 2016 Millionaire Trilogy, 49 percent of millennials plan on becoming wealthy (compare that to only six percent of Gen Xers and 14 percent of Boomers). And like most things they touch, millennials are seriously disrupting the meaning of luxury. What once meant designer handbags and shoes, luxury to the millennial is all about the experience—the memory and feeling a brand evokes. For luxury brands trying to snag these future ballers on Pinterest, provide a shopping experience to remember. Burberry is a terrific example of a luxury brand doing just that. 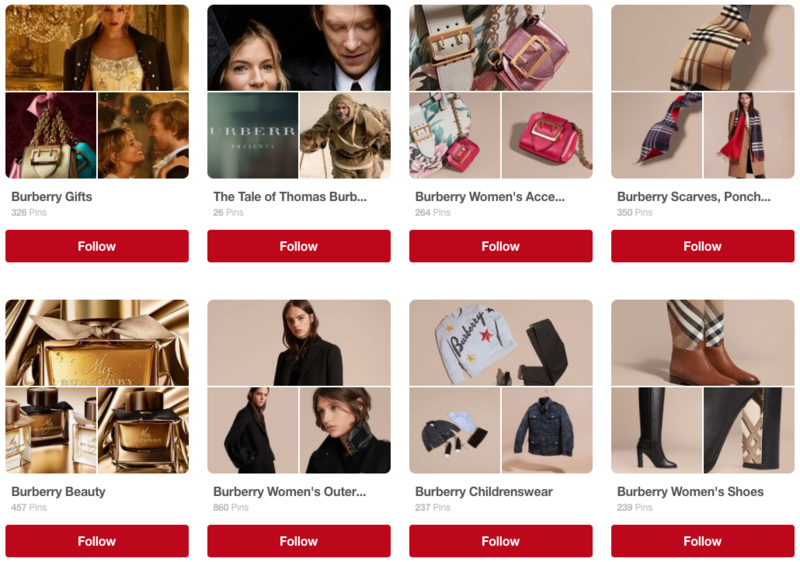 Timed to the release of the brand’s biopic, their Tale of Thomas Burberry Pinterest board does an incredible job of giving readers a viewing experience to remember. Packed with seductive imagery of the film’s stars, each Pin cleverly delivers a memorable moment while also highlighting Burberry’s apparel. Image via Burberry on Pinterest. Wondering where those Pinners live? Chances are they’re urban dwellers. The Pew Research Center found that a combined 64 percent of Pinterest users live in a city or ‘burb, while 25 percent live in rural areas. With these stats in mind, your best bet is to direct your Pinterest marketing towards the bustling urbanite. And what does any self-respecting urbanite dream of most? Escaping the city of course. Brands like Aritzia and American Apparel are excellent examples of brands using Pinterest to tap into the urban dweller’s escapism dream. Mixing snaps of exotic locales with product, the brands cleverly position their apparel as the exclusive key to adventure. Got your fill of demographics and want some actionable tips on how to use Pinterest for your business? Then zip over to our How to Use Pinterest for Business post.